Phillips Exeter Academy engaged MDS to design the comprehensive renovation of the historic Lamont Health and Wellness Center, the three-story, Neo-Georgian building, dating from 1923. Our approach integrated 21st century standards, while respecting its historic character. An entry addition with a new elevator establishes a new entry sequence to the facility and provides universal access. 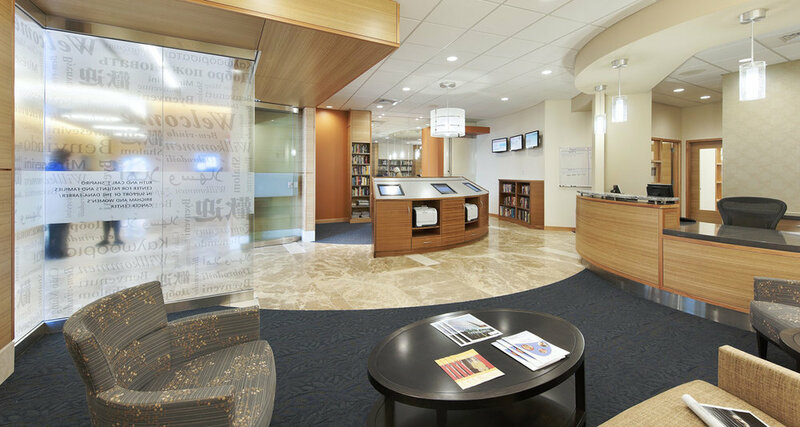 The layout and interior design of the existing floors were completely reconfigured to improve operations and provide appropriate separation of programs. 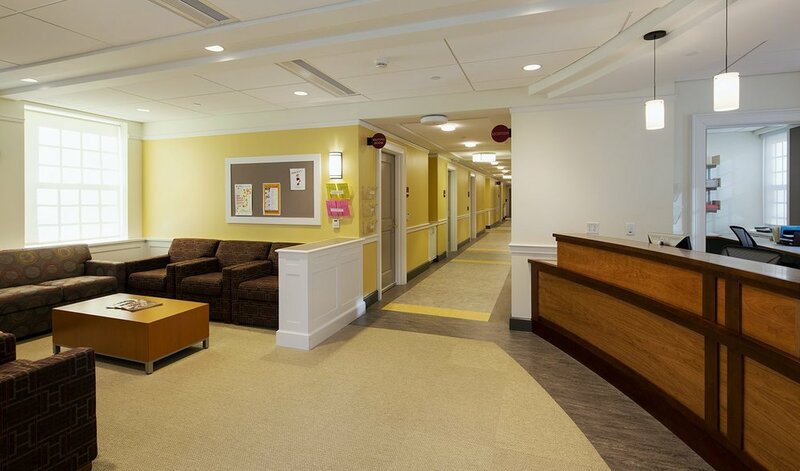 The first floor outpatient space and second floor infirmary were reconfigured, establishing a welcoming patient experience and improving clinical workflow and nurse station oversight. 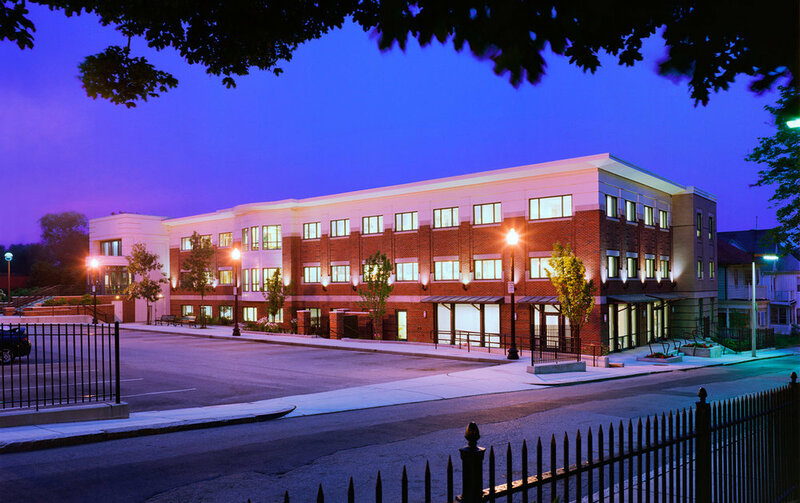 The third floor includes an expanded health and wellness suite, with counselor therapy and consultation rooms, new Health Education classrooms, multipurpose meeting space, Health Education library, and shared office, workroom and support space. Green design features, including a green roof on the addition and rain water garden, provide students and staff visible connections to the Phillip Exeter Academy’s commitment to sustainable design. The project opened in 2014. Establishing a welcoming patient experience, providing universal accessibility, and improving operations were the primary goals of our renovation and expansion.